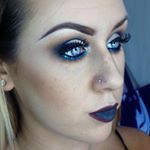 I'm a makeup artist/blogger from Ireland. I have a Facebook page with 12,000 followers. Snapchat with 6,000 people and Instagram with 5,000. If your interested in my social media accounts please don't hesitate to get in touch! Demographic data for @beccalawlessmua's audience is available for free to influence.co users.